Seismological Society of America > News > BSSA > Can Animals Predict Earthquakes? 17 April 2018–For centuries people have claimed that strange behavior by their cats, dogs and even cows can predict an imminent earthquake, but the first rigorous analysis of the phenomenon concludes that there is no strong evidence behind the claim. The paper published in the Bulletin of the Seismological Society of America instead suggests that most of this “evidence” consists of single observations and anecdotes that cannot be tested rigorously. Its authors suggest a series of questions that researchers should use in analyzing the evidence that abnormal animal behavior predicts earthquakes. Heiko Woith and colleagues at the GFZ German Research Centre for Geosciences say scientists must determine whether the link between the animal behavior and the earthquake is based on clearly defined rules (such as the animal’s distance from earthquakes of a certain magnitude), whether the animal behavior has ever been observed and not followed by an earthquake, whether there is a statistical testing hypothesis in place to examine the evidence, and whether the animal population is a healthy, among other questions. “Many review papers on the potential of animals as earthquake precursors exist, but to the best of our knowledge, this is the first time that a statistical approach was used to evaluate the data,” said Woith. The researchers collected reports on potential earthquake predictions across a variety of animals, from elephants to silkworms. Most reports were anecdotes rather than experimental studies, and the majority of the reports came from three events: the 2010 Darfield earthquake in New Zealand, the 1984 Nagano-ken Seibu earthquake in Japan, and the 2009 L’Aquila earthquake in Italy. The unusual behaviors occurred anywhere from seconds to months prior to the earthquakes, and at distances from a few to hundreds of kilometers from the earthquake origins. Only 14 of the reports record a series of observations of the animals over time—most reports are single observations. These weaknesses in the data make it difficult to confirm that these behaviors are predictive—meaning they signal an earthquake event before the event begins—rather than random occurrences or behaviors linked to the initial stages of an earthquake, such as foreshocks. 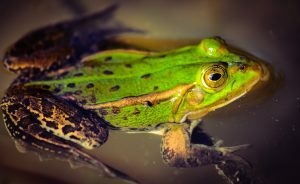 For instance, one study analyzed by Woith and colleagues found that toads were behaving “abnormally” for half of the total observation time recorded in the study—both before and after the earthquake. Future studies should include a stricter, quantitative definition of just what constitutes “unusual or abnormal behavior” on the part of the animals, as well as a physical explanation for the change in behavior, the researchers note.